Everyone of every age strives to have that perfect Hollywood smile. But unfortunately, there are many ways our smiles just miss the mark. One of the simplest dental issues that many of us face, but can remedy, is stained teeth. There are many reasons our teeth have become dingy – our diets, our lifestyle habits, even genetics can lead to yellowed grin. Trays and gels. The original form of at-home products, these trays involve a “boil and bite” mouthguard filled with carbamide peroxide gel. The results will take some time (at least a few weeks) but may cause some irritation due to the gel’s ingredients. Whitening strips. If you have a couple of weeks before your big event, you may want to invest in a strips system. Hydrogen peroxide is placed on a polyethylene strip, which is placed directly on the teeth. Just be aware that if you place it on your gums, they may become a bit irritated over time. Paint-ons. Paint-on whitening pens will take the longest to produce results but is ideal when you need to target a certain tooth. Because it doesn’t have a closed system like the two previous, it takes more time. Whitening devices. The newest in at-home whitening, but the closest to a professional experience, these high-intensity lights use heat to break down hydrogen peroxide in order to produce more whitening oxygens. 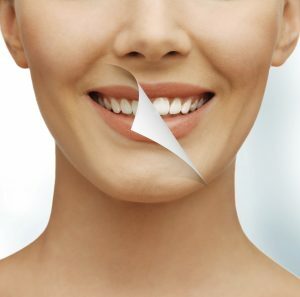 If you would like more information about teeth whitening treatment options, call Dr. Greg J. Herd in Rancho Santa Margarita, CA at 949-858-5147 or visit www.gregherddds.com. Dr. Herd proudly serves Rancho Santa Margarita and all surrounding areas.